Uncork Barrington is a charitable event. This magical evening includes 20 one ounce servings with over 50 wines to choose from, live music, and complimentary nibbles. You'll have a great time visiting with friends while enjoying fine wine. 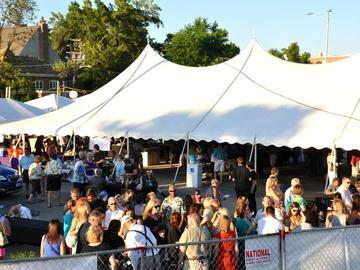 Uncork Barrington has become one of the largest wine tasting events in the Chicago Northwest Suburban region. Discover some new wines with the option to purchase your favorite bottles through our individual merchants at competitive pricing. Absolutely no one under the age of 21 will be permitted to enter the gate.